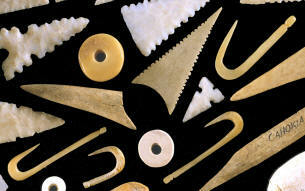 This bone fishhook was found several years ago in a cultivated field on the Cahokia Mounds Historic site. 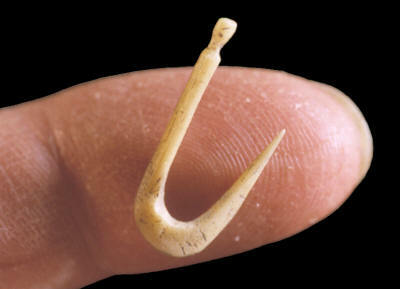 It was found in a cache of six or seven other fishhooks. This fishhook appears to be made from deer bone and possibly the toe bone of a deer. An estimated date for this fishhook is somewhere between A.D. 900 to A.D. 1300.